My racing schedule is relatively light this summer, but I wanted to find a longer training run in preparation for the Heartland 100-miler, which I’m signed up to run in October. 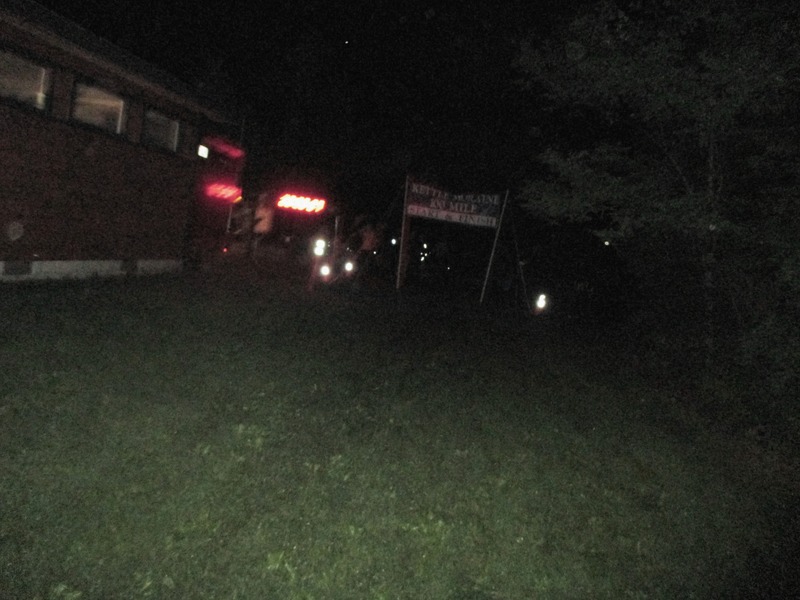 Since I’m a wimp when it comes to running in hot weather, and since I’ve been wanting to gain more experience with night running, the Kettle Moraine 38-mile overnight “fun run” was a good choice. Allison was the real MVP of the day. She drove around all night meeting me at the various aid stations, probably only managed 2-3 hours of sleep, and was STILL able to masterfully avoid hitting a deer on the drive home at 4:30 am. The weather was almost perfect, too. 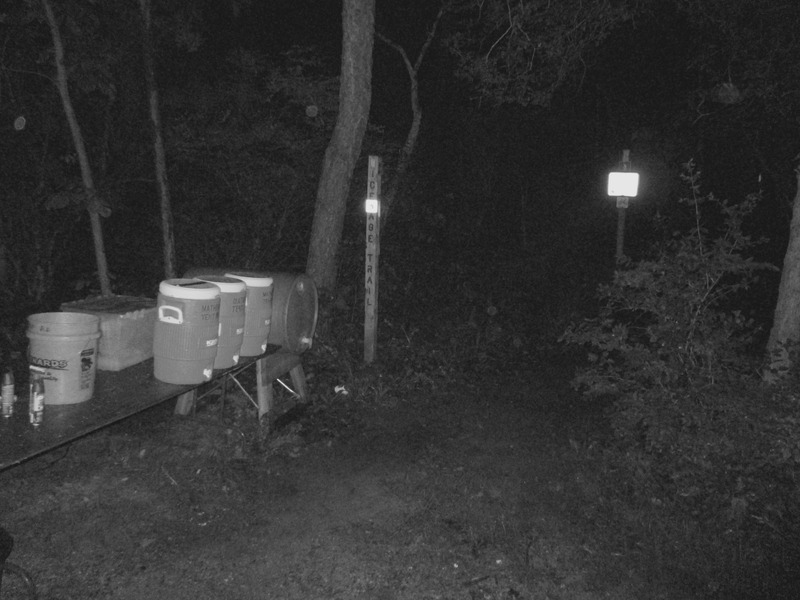 The temperature was around 70°F when I started, and dropped down to the mid-50’s throughout the night. We got drenched by a thunderstorm shortly after starting. It lasted maybe 20 minutes, then turned to a light drizzle for another few hours. The views were terrific until mile 5 or 6. 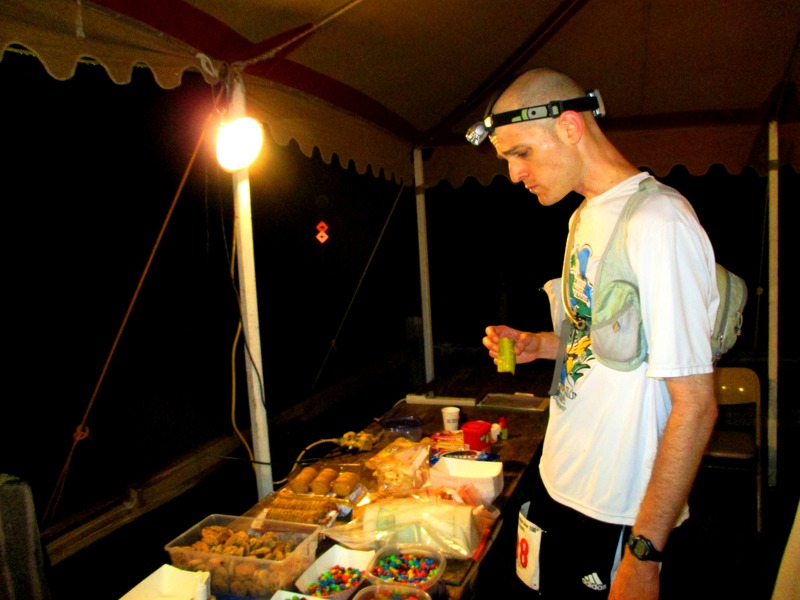 By then it was completely dark, and I switched on my headlamp for the remainder of the race. 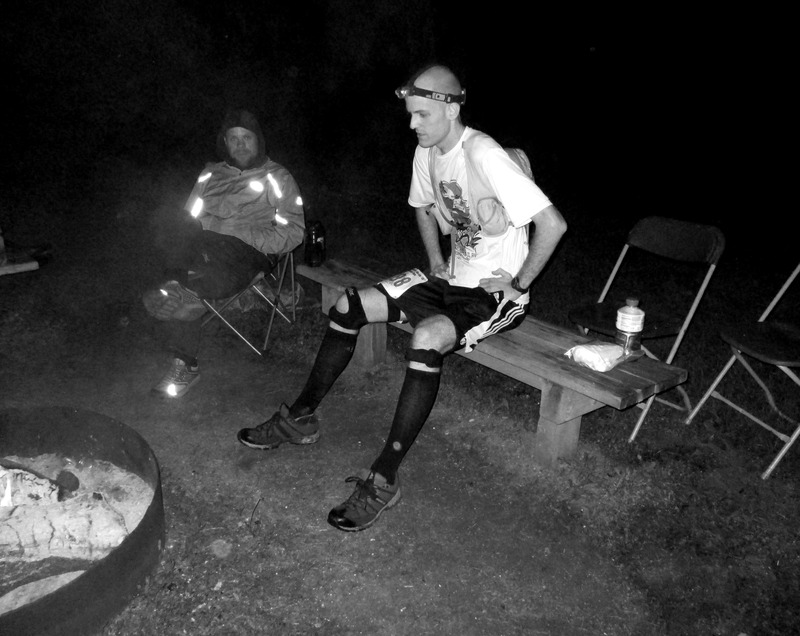 Running all night on a trail is tough to describe, except to say that it’s awesome. For the tired and hungry guy stumbling through the woods, there are few finer things in life than the sight of bonfires and Christmas lights and the smell of freshly cooked food. 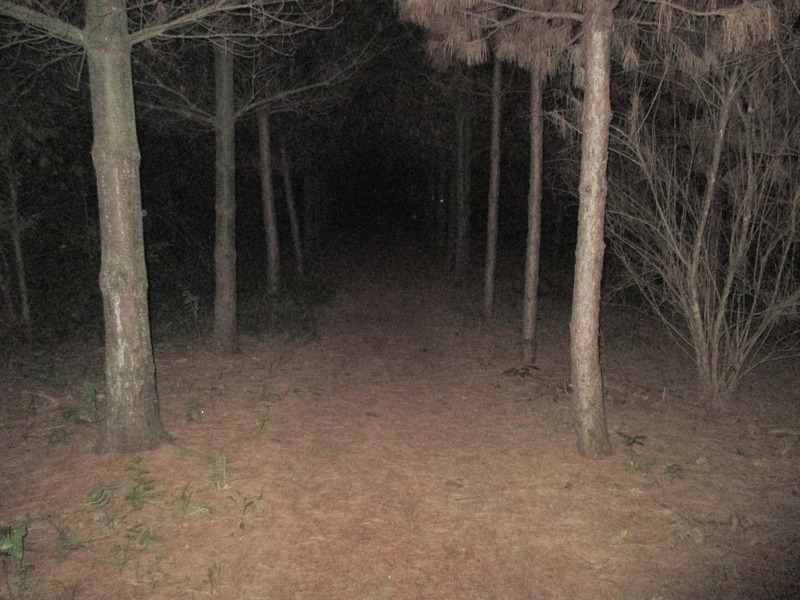 There were a couple of lonely stretches of forest that struck me as a little creepy (see picture above). At one point, I could have sworn I heard someone picking a banjo out in the woods. Things were mostly uneventful, though. 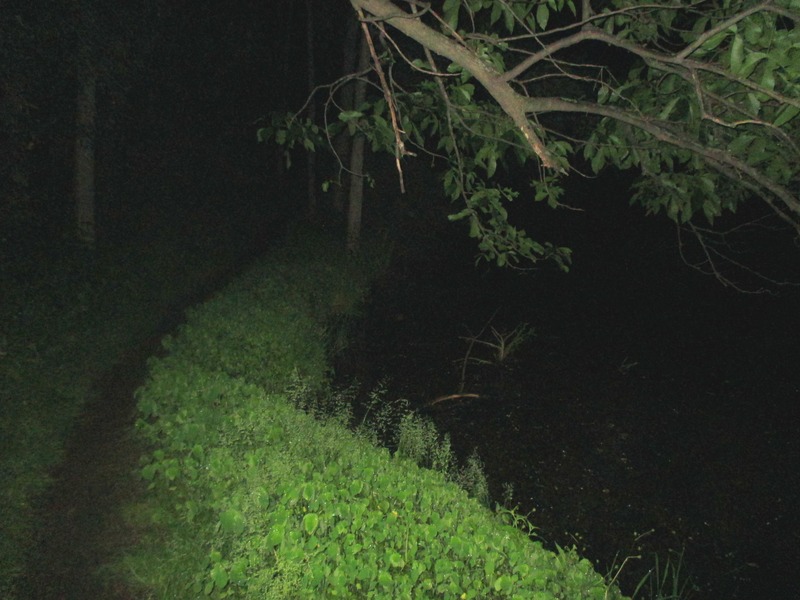 I saw a few cats, a raccoon, several bats, and a white moth the size of my hand. 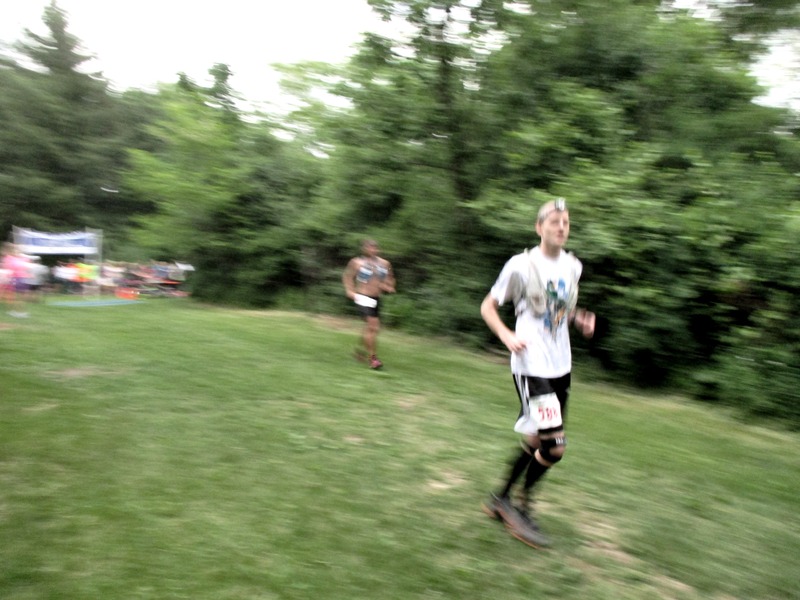 My knees gave me almost no trouble at all, and I was still running strong when I reached the finish line. This was probably the most pain-free ultra I’ve ever run. 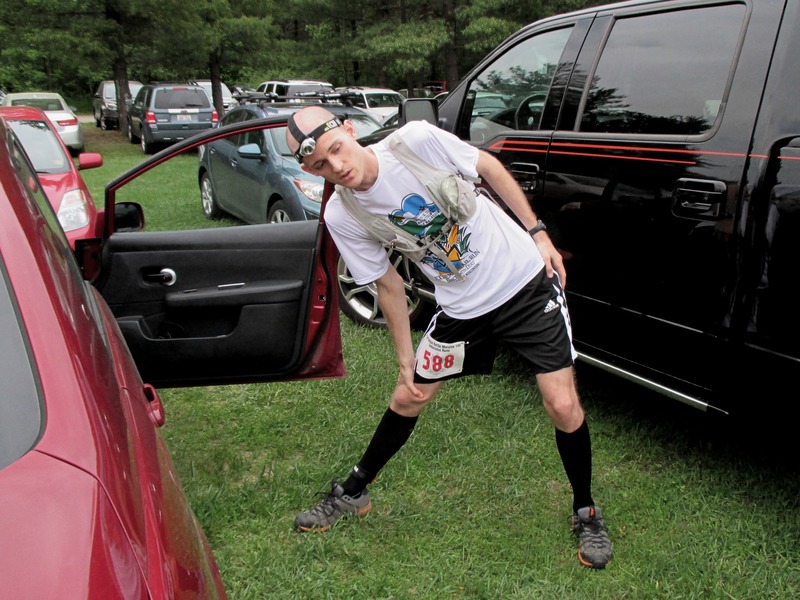 My final time was 8:42:32…good enough for 18th place out of 67 starters (57 finishers). Below are the splits, which include stops for food, bathroom breaks, etc.